Another busy week of blogging. Read on for a quick review of the weeks past posts. Flickr tools, Zooomr Tools Halloween Costumes and more. Damned Lies and DVR Statistics - Mari Sibley the blogger in chief for ConnectedHome2Go and a blogger for ZatzNotFunny talks about the statistics showing the number of US households with DVR's are 17.2% in May and 20.5% today. But back in July another group said DVR households numbered about 24%. I'm going to guess the number is somewhere above 25% now, but its difficult to say with all of these different statistics going around. 16% Watch TV Shows on the Internet - DVR Bulletin talks about the increase in Internet TV Watchers. I have to admit, I don't watch much "TV" on the net, but I do use Netflix Watch Instantly occasionally and occasionally I'll see what Joost has to offer. NBC Bringing Tonight Show & Jay Leno to the Web - Kevin at Floppyhead talks about how NBC is making the Tonight Show available online beginning this week. I also updated my post about the Flickr Upload Tools by adding a 38th tool. Flock, the Social Web Browser integrates well with Flickr and other social sites and has powerful uploading capabilities. Are you a Scrabble™ Word Game Fan? Can't find a partner to play Scrabble™ against? Look no further than an online game of Scrabulous where you can get your Scrabble™ Fix online. Scrabulous doesn't seem to have the blessing (read license) of Hasbro or Mattel so I'm not sure how the trademark owners might feel about the Scrabulous application, but for now it's a great, free website to play your favorite Scrabble™ game when you don't have a willing partner to play against. At Scrabulous, you can play against the computer or find others to play against in the member rooms (requires registration). They also offer a "play via e-mail" version, a Solitaire Scrabble™ version and a faster game of Blitz Scrabulous. There is an online version that was pulling in a few thousand users - less than the developers had hoped so how did they increase exposure? They ported Scrabulous to Facebook. Scrabulous has now grown to approximately 950,000 players! 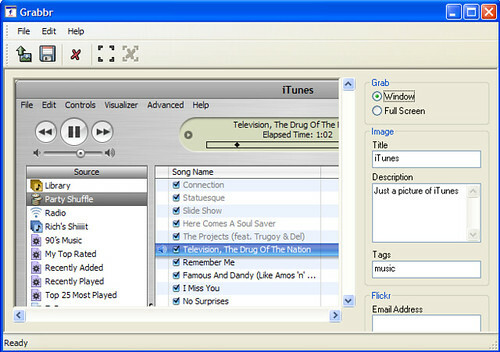 The screen-shot below is of the standard version of Scrabulous. In this version you play against others across the net. This is a single-player version of Scrabulous. It wasn't as much fun as the standard multi-player version, but if you're just wanting to hone your word skills its not a bad game either. Scrabulous also has a dictionary page that allows you to cheat or confirm words you might want to use while playing Scrabble. Another place for some online Scrabble™ is yahoo's Literati. Literati is an officially licensed version, but involves a download. Literati has a free trial download, but for the full version you'll have to fork over $20. Today, Flickr announced a partnership with Microsoft to enable direct uploads to Flickr via Windows Live Photo Gallery. This is yet another excellent way to get your photos to Flickr. But don't stop there because there are currently 37 different ways to upload pictures to Flickr and I'll give you the low-down for each of them here. Whether you are using Windows, a Mac, Linux or even your mobile phone; there are many ways to get those pictures to Flickr. Many of the tools go way beyond the ability to upload and include editing, tagging and more. 1. We'll start off with the new Windows Live Photo Gallery Method. You can now send photos to Flickr directly from your desktop using Windows Live Photo Gallery. This includes bulk image upload, tagging, photo resize, and more. It even allows you to upload to multiple Flickr accounts if you have more than one. Mac uploader - notifies when new photos are uploaded. Uploads & manages Flickr photos for Firefox. It requires the firefox web browser. Once installed, just go to view > sidebar and then select firefox. Upload photos to Flickr by e-mail - This is another official Flickr upload method. Upload images to Flickr and automatically add them to groups and sets. It can also import tags from a variety of third party image applications. Windows Only. Note: Not being actively developed so may have bugs. Desktop image edit (rotate, flip, tag, name, batch resize) then upload to Flickr. Windows Only. Upload photos with metadata using iPhoto and iView MediaPro. Currently Mac Only, but Windows Version is in development. Works with Multiple online photo services incuding flickr, fotki, ipernity, facebook, shutterfly, smugmug, webshots, Gallery G2 and more. This is another official Flickr uploader. Send2Flickr is a windows explorer extension that lets you upload to Flickr right from windows explorer. The official, Flickr mobile phone uploader. Mobile phone app that tags & uploads your cameraphone pics straight to Flickr. Yahoo! widget that allows you to upload images to the Flickr photo-sharing service. Instant upload of your photos to Flickr with geotags using two clicks on the same button. Works with Nokia and Motorola phones. Flidget is a Mac widget to upload photos to Flickr. To see a video of Flidget in action CLICK HERE. An easy to use photo uploader for Flickr written for KDE. Offers drag-n-drop from applications such as konqueror & digikam, Easy edits of photo properties and tags, supports multiple users and many other features. Uses KFlickr as a KIPI plugin allowing tighter integration with Kflickr and various KDE photo management applications. As Kenny mentions in the comments Flock 1.0 (new version), the Flickr Web Browser will also allow you to upload one or multiple photos to Flickr, Photobucket & Pizco; and much much more. Flock is sort of a feed reader built into the browser that is sort of like a highly personalized home page. You can get Media Streams from Flickr, YouTube, Photobucket, Facebook and more. Thanks for stopping by Brent Evans Geek Tonic. Please feel free to let me know in the comments if I missed a favorite photo tool you know of. Google Maps Mania tipped me off to an excellent Google Maps Mashup - this one created by Pradipta highlights many of the most interesting sites in United States to visit to learn about American and History. It's missing some important historical sites, but has a pretty good list. It's been several years since I attended college. When I graduated from the University of Missouri, technology was very important and becoming more and more important by the day, but compared to now, we were just at the tip of the iceberg with educational technology. Almost all college students now have laptops, mobile phones and a portable music device such as an iPod and Zune. Actually this is even becoming true in the high schools across America. Paul Stamatiou tipped me off to an excellent video created by Michael Weshc, a Kansas State University professor of digital enthnography studies. "I wouldn’t write about a YouTube video if it was anything short of stellar." As a "tech-savvy" Halloween party-goer you are probably looking for the best Halloween Costumes for the coming Halloween Party Season. Well today I bring you the top geek costume ideas for your reading and viewing pleasure. 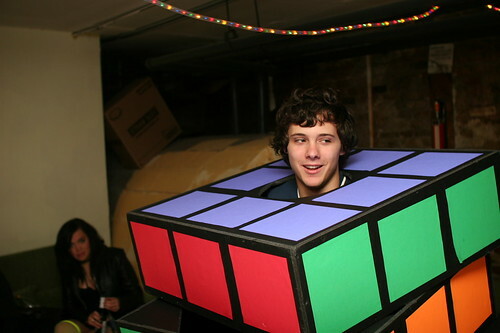 Zune Costume - no photos, but why not? 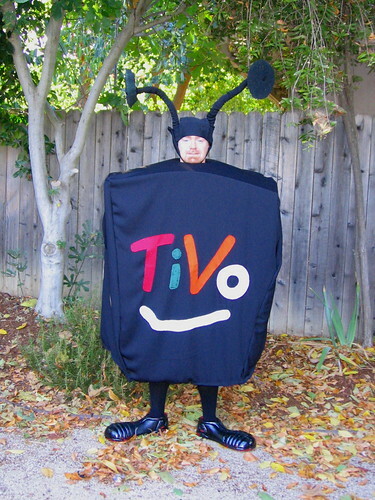 If apple can have costumes, then any music player can right? iPhone Costume - iomarch has this iPhone costume and it's pretty nice. Includes widgets as well! Want to geek out your dog for Halloween? 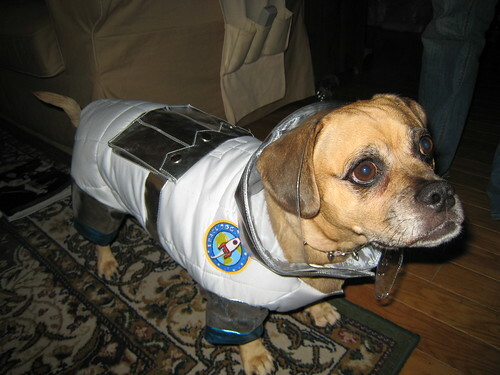 How about Space Ranger for your dog! Or a nice Darth Vader costume for fido? 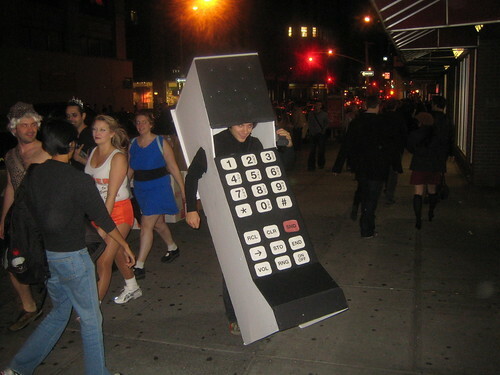 Have another some-what geekish Halloween costume idea? Let me know in the comments.